The impact of Big Data was realized in 2014. 2013 was the year when Big data was introduced to the world & 2014 showed that the market for big data services is beginning to mature. DATA IS EVERYWHERE ranging from phones to televisions and computers; from logistics to inventory to customer info. Everywhere you see huge amounts of data being collated every minute. The data flow’s so fast that the total accumulation of the past two years—a zettabyte—dwarfs the prior record of human civilization. We call this the Big Data revolution. It’s a revelation & as big data was an enigma, experts predict that Big Data can solve the most of the problems in 21st century. Big data‘s usefulness is far beyond the realms of anyone. Google analyzed clusters of search terms by region in the United States to predict flu outbreaks faster than was possible using hospital admission records. The potential for the possible good of the people lies more in medicine than any other field, in which, people are dying every day as the data is not simply put to use or because the data is not being shared. Just imagine if people can be saved, cured just by simple analytics, then what can Big Data bring to the table. The structured data & its use can transform the way we humans perceive, look at things. A gigabyte is made up of a thousand megabytes. One terabyte is a thousand gigabytes. 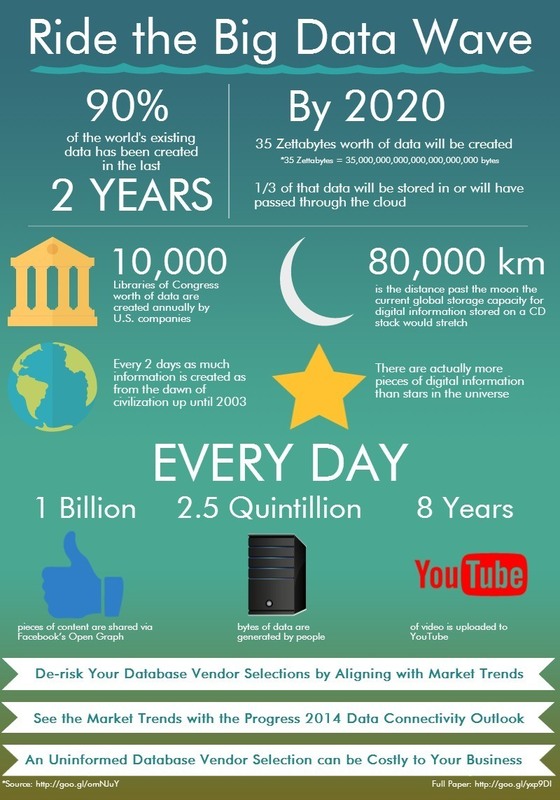 There are a million petabytes in a zettabyte. Raw data is infinite. In the past, this information was difficult to harness. But now, with cloud technology and other innovations from Hortonworks, Cloudera and Hadoop (*Hadoop course), big data is becoming big business. The unstructured data is now being turned into useful information to identify trends, patterns so as to define algorithms from important pieces of information. In short, it is changing the world as we know it. (1) Your personal preferences and habits are quickly becoming the most valuable commodity out there. Big data creates value by making information transparent, more accurate and more tailored to the customer’s needs. With the rise of social media and IOT (Internet of Things) sifting through all the data to decide what drives business and what actions to take has become a pertinent activity. (2) Companies look to make use of big data to drive their business and tapping the right market/demographic. Understanding their customers. (3) This allows a company to give you more personalized service and innovate products that fit your needs and lifestyle. (4) The power to collect and analyze enormous amounts of data can make anticipating and treating illnesses much more efficient. With digital data records, the entirety of your medical data is available to professionals. As more and more data-sets are collected and analyzed, this technology will only help & be more effective. (5) If you are looking for a booming career, becoming a data scientist might be intriguing. Data scientists are becoming common in every type of company from Internet browser companies to home cleaning services. Harvard Business Review dubs data scientists as the sexiest job of the 21st century. With four million big data jobs expected by 2018 and a median salary of $150,000 dollars per year, it’s hard to argue. Do you want to make Big data work for you? Contact us at EduPristine as we provide hands on classroom and online training on Big Data and Hadoop. How does Google use Big Data? Next What does a Project Manager actually do?